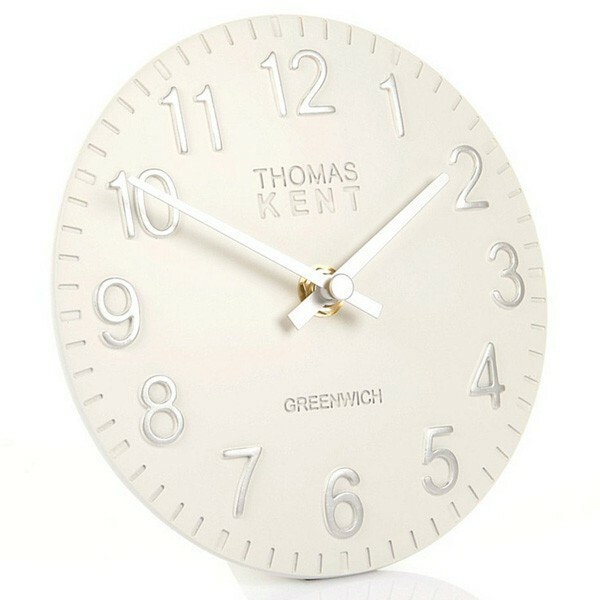 Add some understated style to your mantelpiece with this stunning white desk clock! The Thomas Kent Cotswold Snowberry White Mantel Clock - 6 Inch features a smooth hand-painted off-white face face, highlighted with silver numbers and bright white hands. This simple but stylish design will stand out against any colour wall, and would make a wonderful complement to any minimalist decor. This sleek timekeeper also boasts a moulded stand, meaning that it can be placed on any flat surface, such as a shelf or coffee table. It would also make a lovely gift for any occasion - with its understated design it would suit most interior styles. See the right hand side for different colours in Thomas Kent’s Cotswold mantel clock range!